Fraud is a case that involves making misrepresentations of certain information with the intent to deceive another person or a company. This exists on a daily basis especially with companies selling their products not for the benefit of the consumer but for the sake of earning income out of it. With the existence of such, fraud investigation is needed. Fraud investigation is used to prove whether the complainant speaks true about the fraud committed by the company offering to sell fraudulent products or people claiming compensation for something that they are not entitled to. This process is significant in determining if fraud has really occurred in the process of selling products, rendering services or in claiming compensation. The fraud investigation process starts when a meeting has been set between the client and that of the investigator. During the meeting, the client will explain areas where the suspected fraud takes place. Evidences must be handed over to the investigator. The investigator, on the other hand, must use all the information presented by the client to find even more facts and evidences regarding the case. He can use any of the available search options he can use. He conducts background checks of both parties, make employee investigations and use surveillance to prove his client’s claims. The fraudulent selling of product is just part of what is being investigated in a fraud investigation. Aside from this, there are still other types of fraud investigations. One is called the worker compensation fraud investigation where the investigator will check on employees claiming for compensation even if they really do not have any injury. Another is called the insurance fraud investigation which is used to prove any false claims just to be able to get insurance money from a company. Corporate fraud investigation is yet another type and in this instance any financial fraud will be investigated upon. If you suspect fraud happening in any company, you have to call for the help of a fraud investigator right away. Whether or not you are the direct victim of the fraud, it is your obligation to report in order to save other from injuries or losses that may arise from that fraud. Make sure, however, that you have your evidences ready for presentation during your meeting with the investigator. It will also be good to have a journal where you can outline what you have observed in a person or a company involved in fraudulent activities. This will give you an easier time to explain the entire thing to your private investigator. Even when you have all evidences ready to prove that fraud is really in place, you have to think of the fact that not all of your evidences will be admissible in court. 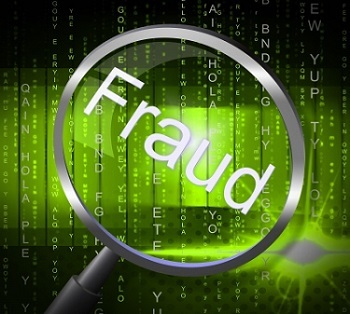 In this case, we recommend that you hire a fraud investigator in Perth. Make sure that you answer all the questions that the investigator will ask you in a truthful manner. From here, you can pursue the case against the other party.